Decked out head-to-toe in Harry Potter gear, Wizarding World fans lined up around the block for their first chance to see the second installment in the Fantastic Beasts franchise: The Crimes of Grindelwald. Even before the prequel to the Harry Potter series hit theaters, The Crimes of Grindelwald was plagued with controversy. The movie was accused of queerbaiting (hinting at an LGBTQ+ relationship but not following through with the relationship) and casting controversies with Gellert Grindelwald (Johnny Depp) and Nagini (Claudia Kim). Depp allegedly abused his ex-wife, Amber Heard, and J.K. Rowling chose to overlook this, despite advocating for the #MeToo movement. Kim, the only actor of Asian descent, was given an insignificant role and later becomes Voldemort’s pet. 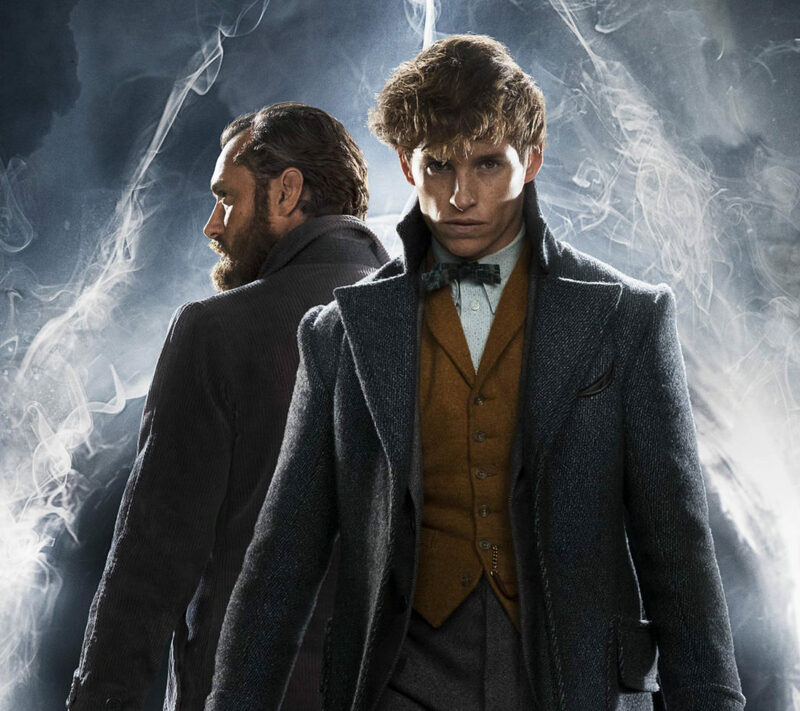 The movie is centered around how Albus Dumbledore (Jude Law) enlists the help of Newt Scamander (Eddie Redmayne), a magizoologist and protagonist in the first film, to save Credence Barebone (Ezra Miller) before the dark wizard Grindelwald finds him. Redmayne portrays his character perfectly by showing his kindness and courage throughout. Although Law’s screen time is admittedly limited, he brings the perfect balance of power and humility to his role. The movie starts off with a bang, displaying a visually stunning escape scene that puts viewers on the edges of their seats. Complete with beautiful visual effects of the night sky and chilling one-liners impeccably delivered by Grindelwald, The Crimes of Grindelwald sets itself up for success in the first half, but falls flat in the second. Redmayne does a fantastic job of playing the coy, lovable Newt Scamander as he cares for his show-stealing magical creatures. The movie introduces other fan-favorite protagonists from the first film including Jacob Kowalski (Dan Fogler), who never fails to make the audience laugh with his stunned expressions and innocent questions. 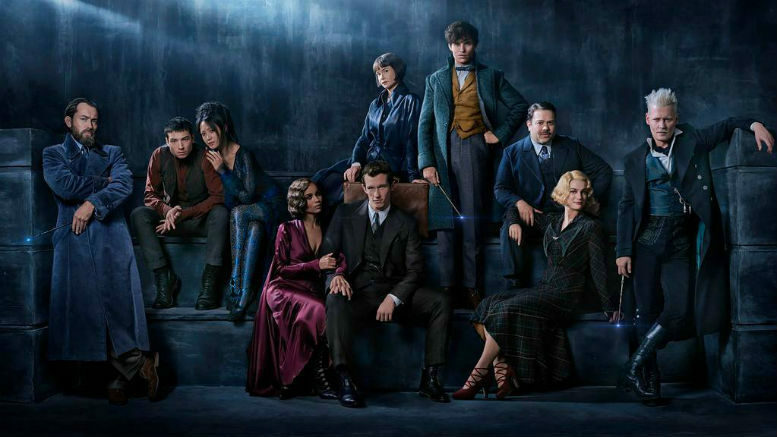 The Crimes of Grindelwald makes many references to the Harry Potter franchise and even includes shocking appearances of beloved Harry Potter characters. Certain scenes and flashbacks take place at Hogwarts as “Hedwig’s Theme” plays in the background, leaving fans of the original series with a pang of nostalgia. However, some of these scenes only served to provide sentiment and distracted from the plot itself. Stunning visual effects, lovable characters, and nostalgia couldn’t save the latter half of the movie, which proved to be very confusing. With the introduction of too many irrelevant characters, even the most avid Harry Potter fan would have a hard time following the story. Some, like Yusuf Kama (William Nadylam), were introduced unnecessarily for only one scene, and then completely dismissed. 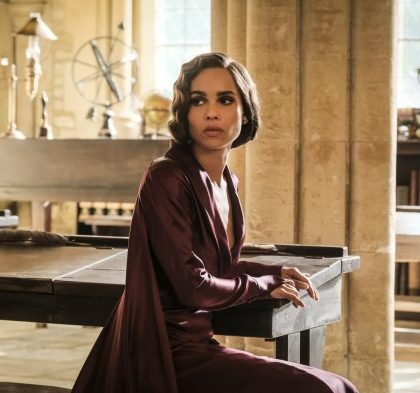 In a lengthy exposition scene delivered by Leta Lestrange (Zöe Kravitz), the movie creates many subplots and red herrings, ultimately leading to an inconclusive and unsatisfying result. The underlying tone of the movie makes sudden switches between dark and brooding and lighthearted with some scenes being unnecessarily disturbing and others having a touch of immaturity. Plot twists and easter eggs are littered throughout The Crimes of Grindelwald, which at first seem to add amusement. However, they became more muddled until basic timelines in the movie fail to add up. The movie ended on a cliffhanger with perhaps the most perplexing and messy plot twist, prompting merely a weak applause from the audience. The Crimes of Grindelwald proves to be an entertaining but disappointing movie, leaving Potterheads wanting more with its convoluted storyline and obvious plot holes. Be the first to comment on "Fantastic Beasts: The Crimes of Grindelwald — Not as Fantastic as the First"